If you drink white wine you have definitely had Pinot Grigio. It is the king of by-the-glass wine options in bars and cafés around the world. Why? Because even the cheapest versions are pretty inoffensive. They are smooth, easy drinking, and fairly neutral on the nose and palate. What’s not to tolerate? What you may not know however is that this little grape is capable of so. much. more. Just like Syrah and Shiraz, Pinot Gris and Pinot Grigio are one and the same. The variety also goes by many other names but Pinot Gris and Pinot Grigio are the two most commonly used monikers. They have come to define quite varied stylistic approaches. Pinot Gris and Pinot Grigio are one and the same. Pinot Gris wines tend to be richer and weightier, while Pinot Grigios are fresher, lighter in body, and leaner in structure. Pinot Gris wines tend to be richer and weightier with fragrant aromas of ripe orchard and stone fruits, underscored by hints of spice. They often feature an oily, textural mouthfeel, and modest acidity. They can be unoaked or lightly oaked, and are often subtly sweet. Pinot Grigio wines are generally much fresher, lighter in body, and leaner in structure. They are generally unoaked and bone-dry, with restrained citrus, orchard fruit, and almond aromas and flavours. This more delicate style is often achieved by early harvesting while grape acid levels remain relatively high. The grape is a colour mutation of the Pinot Noir variety. The grape is a colour mutation of the Pinot Noir variety. While most white wine grape skins are green when ripe, Pinot Gris/Grigio grapes range from a golden-pinkish shade to quite a deep grey-blue in warmer climates (hence the name Pinot Grid or grey Pinot). This dark skin colour often results in a subtle copper or pink tinge in the resultant wines. It also explains the existence of Pinot Grigio rosé. While Pinot Gris/Grigio grapes are grown all over the world, France and Italy are by far the best known producers. Let’s go on a little tour of where the grape is most widely grown. In Alsace, France Pinot Gris accounts for 15% of all vineyard plantings. It is considered one of the four “noble” grapes in Alsace (along with Riesling, Gewürztraminer, and Muscat). With a few minor exceptions, these are the only grape varieties permitted in Alsace’s finest, Grand Cru vineyards. Alsace Pinot Gris is pale to deep gold in colour, with rounded acidity, complex aromas of earth, ripe stone and orchard fruits, hints of smoke and spice, and honeyed notes on late harvest wines. In Alsace, France Pinot Gris accounts for 15% of all vineyard plantings. Sweetness levels in Alsace range from off-dry (9 to 15g/L residual sugar) for the majority of wines, to marked, yet balanced, juicy sweetness for the late harvest categories of Vendanges Tardives (60 – 90g/L) and Sélection Grains Nobles (120 – 160g/L). Alsatian Pinot Gris ranges from medium to full-bodied, has a rounded, subtly oily texture, and attractive phenolic grip on the finish. It is generally aged in neutral vessels like stainless steel or old oak foudres (large-scale barrels of varying sizes). The regional quality hierarchy ranges from: AOC Alsace, to AOC Alsace Grand Cru, with some producers also producing a “Réserve” level of AOC Alsace to define a middle ground. 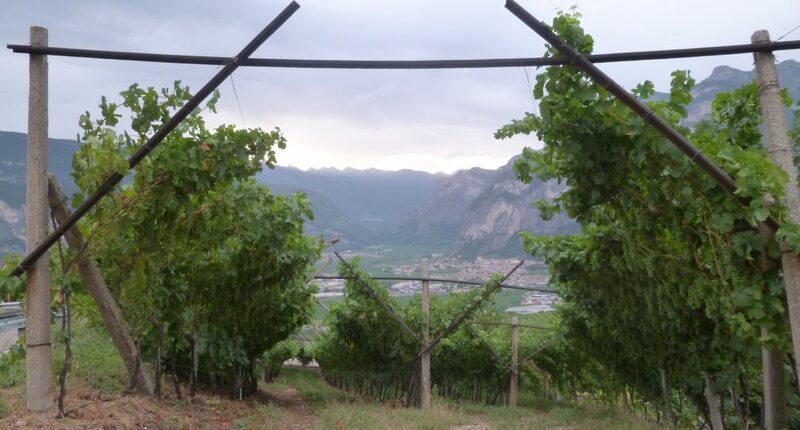 In Italy, Pinot Grigio is produced predominantly in Northeastern Italy with strong holds in the Veneto and Friuli notably, but also Trentino, Alto Adige and Lombardy. The entry level examples are pale, crisp, dry, and neutral (as explained above). They are often labelled IGT (indicazione geografica tipica – which basically indicates that grapes can come from anywhere within a large region) or DOC delle Venezie. In Italy, Pinot Grigio is produced throughout Northeastern Italy with strong holds in the Veneto and Friuli notably. More premium versions have far more body, grip, and perfume. The Alto Adige region borders Austria and Switzerland. Pinot Grigio vineyards are planting on slopes at high altitudes, bringing vibrant acidity, attractive mineral hints, and aromatic notes of peach, pelon, pear, and spice. The wines tend to be light to medium bodied, precise, elegant, and quite long. In Friuli-Venezia Giulia, excellent Pinot Grigio wines are made in several sub-zones. These wines tend to be slightly less fragrant than Alto Adige, but fuller-bodied and richly textured. The steep slopes of the Collio DOC gives zesty acidity. The wines are very powerful, and often delicately oaked. In Colli Orientali del Friuli, pretty aromas of white flowers and ripe apples feature. In Germany, the grape is referred to as Grauburgunder or Ruländer (often used for sweeter styles). It is grown predominantly in the warm Baden and Pfalz regions, and also Rheinhessen. Styles range from the Grigio to Gris profiles, with the most powerful, fuller-bodied wines often displaying tropical fruit nuances and spice. In Germany, the grape is referred to as Grauburgunder or Ruländer. Oregon tends to produce a hybrid style featuring the fresher acidity and drier finish of Pinot Grigio, with the textural quality, body and higher alcohol often seen on Pinot Gris. The wines are more fruit-driven (less earthy/ mineral/ smoky) than European versions, with white orchard fruit and subtle tropical notes. Most wines are unoaked or aged in neutral oak to allow subtle oxygenation. New Zealand is also a very fine up-and-coming region for Pinot Gris. Aromas of apple, pear, honeysuckle, and spice are common. On the warmer North Island the style is riper, weightier, and oilier. Look to the regions of Hawkes Bay and Gisbourne for this. On the cooler South Island, the wines are fresher, more taut, and often more structured. Marlborough, Canterbury, and Central Otago are the main Pinot Gris producing regions here. New Zealand is also a very fine up-and-coming region for Pinot Gris. The majority of New Zealand Pinot Gris is off-dry, though with such a fresh character that the residual sugar is often barely perceptible. Ageing in used barrels with extended fine lees contact is becoming increasingly common in premium New Zealand Pinot Gris, giving a more layered, creamy mouthfeel to the wines. The Pinot Gris/Grigio grape is the theme variety of this year’s: La Grande Dégustation de Montréal (on this Thursday to Saturday, Nov 1st to 3rd). I recently participated in the jury that selected the top 10 Pinot Gris and Pinot Grigios to feature at the fair, and in SAQ stores. Initially muted, with notes of ripe yellow fruits (peach, plum, yellow apple), underscored by hints of mushroom, raw honey, and spice, becoming quite powerful with aeration. Brisk acidity, full-body, and a rich, layered texture expertly balance the medium sweet, fruity finish. Vibrant fruit flavours linger on the finish. Moderately aromatic, with an initial earthy, wet stone character, giving way to pear, lemon and floral hints as it opens in the glass. This dry Pinot Gris is medium in body, with bright acidity, and a savoury, moderately firm palate profile. It finishes with tart apple and honeyed hints on the juicy finish. Earthy, with inviting peach, apricot notes, lemon zest, and hints of smoke on the nose. Really juicy and lively on the palate, with moderate concentration, a rounded structure, and subtle off-dry finish. Easy-drinking week-day white. Expressive nose featuring yellow apple, melon, and apricot notes. Crisp, light-bodied, and precise on the palate with zesty citrus and orchard fruit flavours, and subtle candied fruit notes on the dry finish. Delicate notes of white orchard fruit and lemon on the nose. The palate is juicy and rounded, with brisk acidity adding vibrancy and definition. Short, but pleasantly fruity, dry finish.